You are here: Home / Jewelry / Georgian agate riviere necklace. This Georgian agate riviere necklace doesn’t actually sparkle at all, but I think it’s beautiful. Isn’t it gorgeous? That’s 15 landscape agates you’re looking at, each in a yellow gold setting. 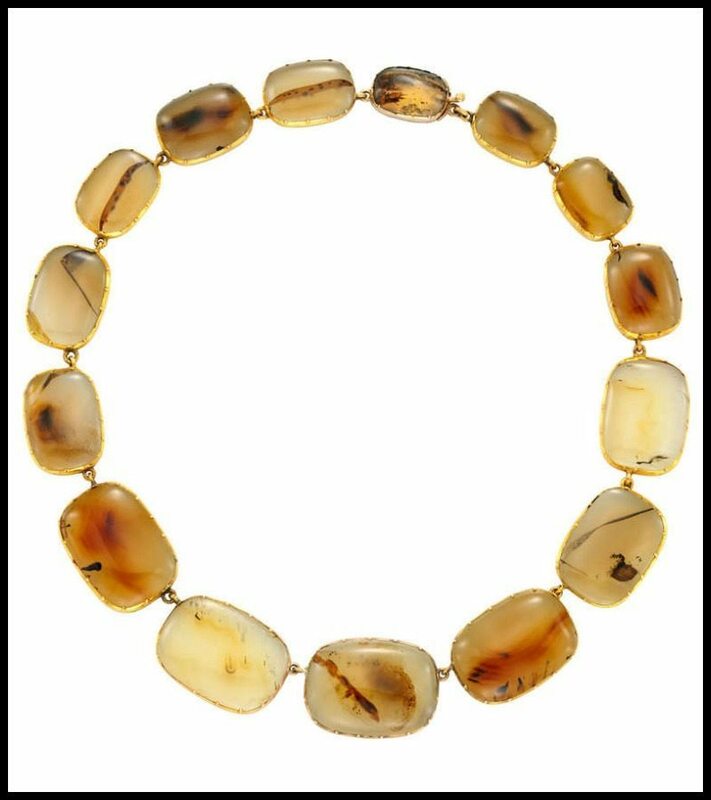 As you can see, the agates are graduated in size (meaning that they get larger towards the front and center of the necklace). Aren’t they cool? I just love jewelry that showcases the natural irregularity of stones. Even though they’re not identical, I think the color scheme of all of these agates feels like a coherent whole in the piece. It’s subtle, but interesting and beautiful. I think it would look amazing paired with a deep green, and I just bet it feels amazing against the skin. What do you think of it? Earthy and alluring, or drab? 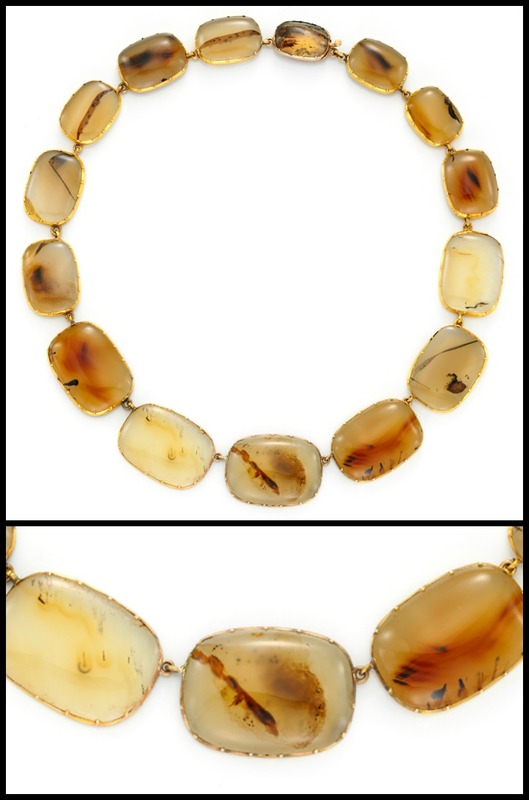 This Georgian agate riviere necklace is currently for sale at Simon Teakle, listing via 1stdibs. All images and info are thanks to Simon Teakle and 1stdibs.